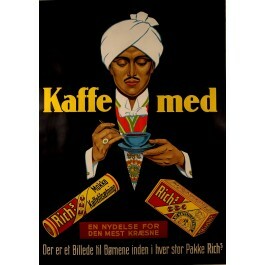 A sophisticated Raj looking character for this poster advertising Rich's coffee. Rich's is the name of a Danish coffee substitute brand in 1834 and produced by CF Rich & Sons , which from 1897 was included in the Danish Cikoriefabrikker, marketed under the slogan: It's Rich's who drink's . 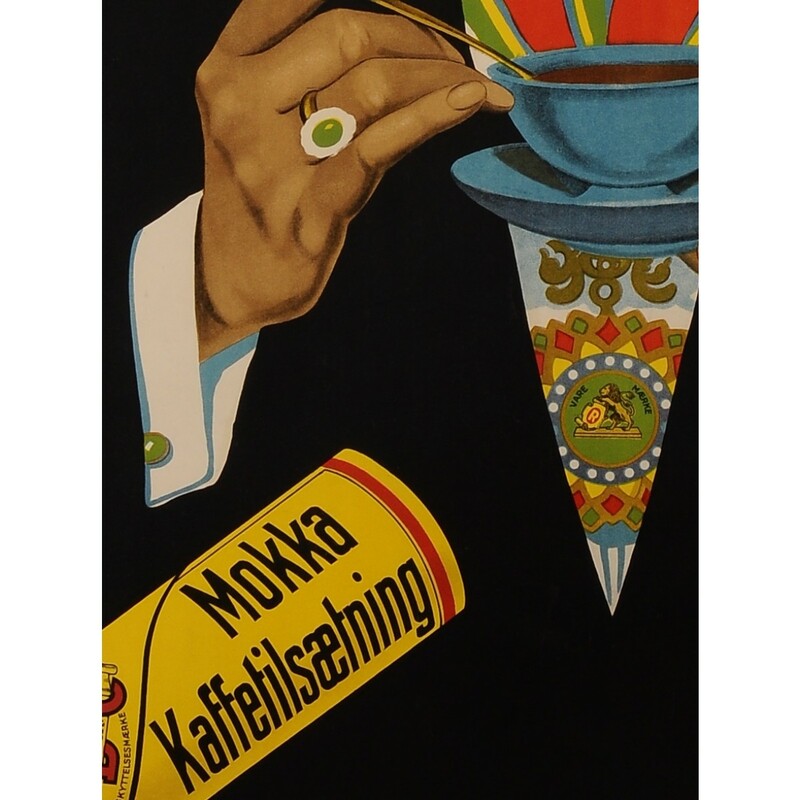 The brand was well known during food shortages during the German occupation of Denmark during World War II . 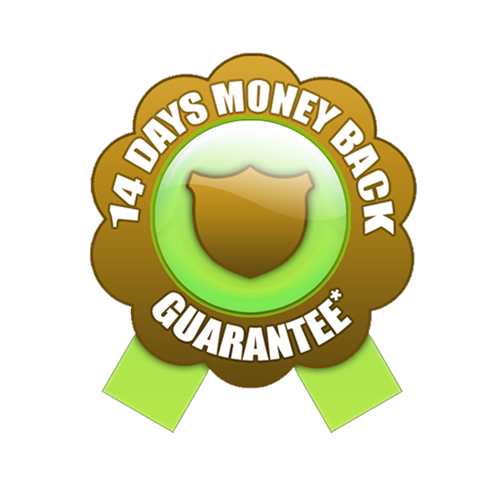 Coffee compensation consisted mainly of an extract of chicory root and did not contain caffeine . Rich's were available in Danish grocery stores until early 2009.